This is such a stunning mirrored TV unit. 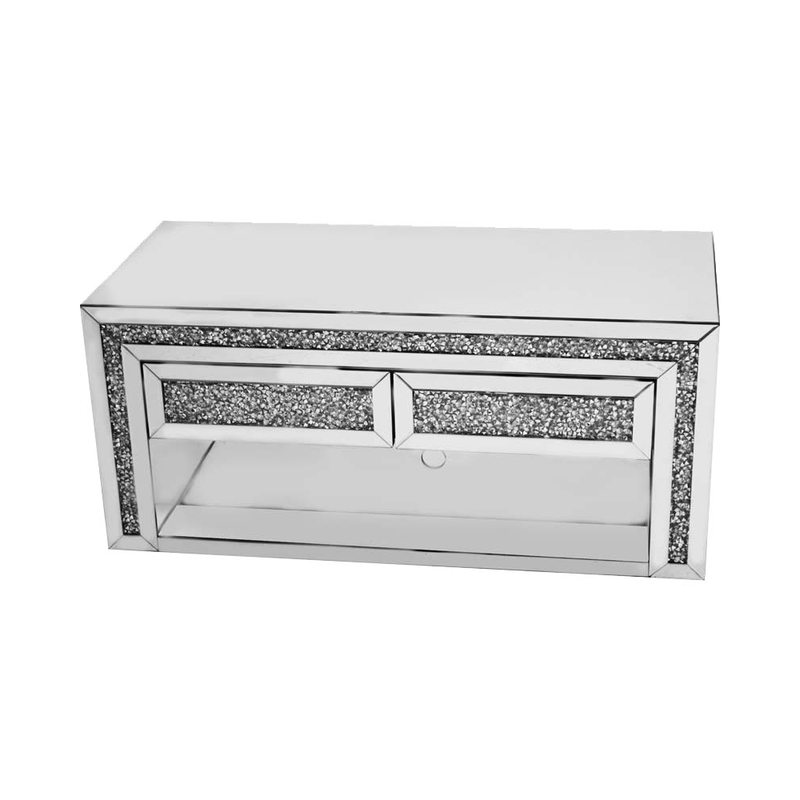 This is such a beautiful mirrored TV unit, it is decorated with two draws which have a glittered, crystal finish. It then has a space for your consoles, DVD players or anything of the sort along the bottom. The front is finished off in diamond like crystals which really makes it.